If you’ve done a great deal of research or using DNA testing and know fairly sure your family’s ancestral heritage – Eastern European, North African, German, Southeast Asia, etc., you just might like to have a collection of music characteristic of those ancestral heritage. 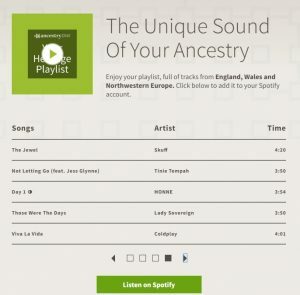 Using Ancestry.com you can place the regions your ancestors originated from and a playlist of music can be created. 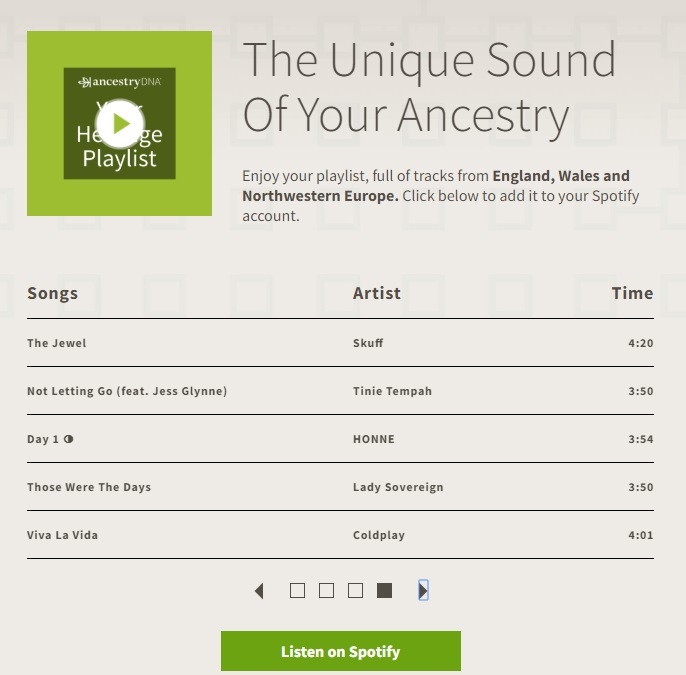 This is achieved in connection with Spotify – the music download device. Start with the continent name – select one, then across narrow down the region. Next scroll down and click ‘continue’. If you want to add an additional region you can now. If not, click create playlist. You will get a listing of popular music from that region, the artist and the music length. You can listen to each piece and you can also save any one or all selections to your Spotify playlist account (create a Spotify account if you do not have one). How cool is that ?? Check it out on Ancestry.com. Photos: Spotify Playlist based on family heritage and an example of Polish music and dance.